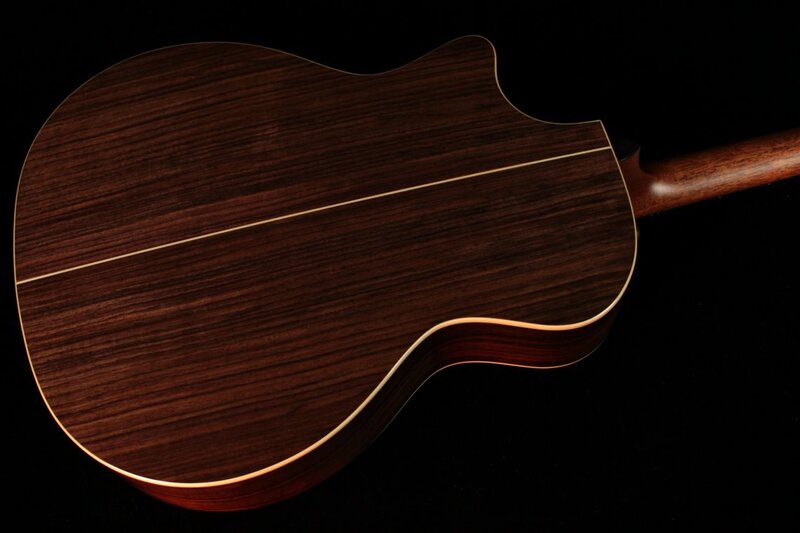 To start, they recalculated the ideal thickness of every top, back, and side of every guitar, and they decided to finish each piece of wood with a very thin polyester gloss finish to optimize projection. 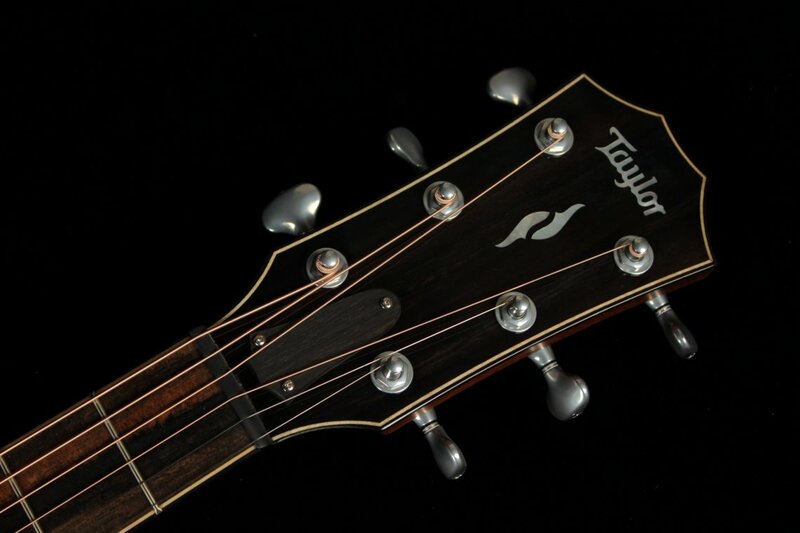 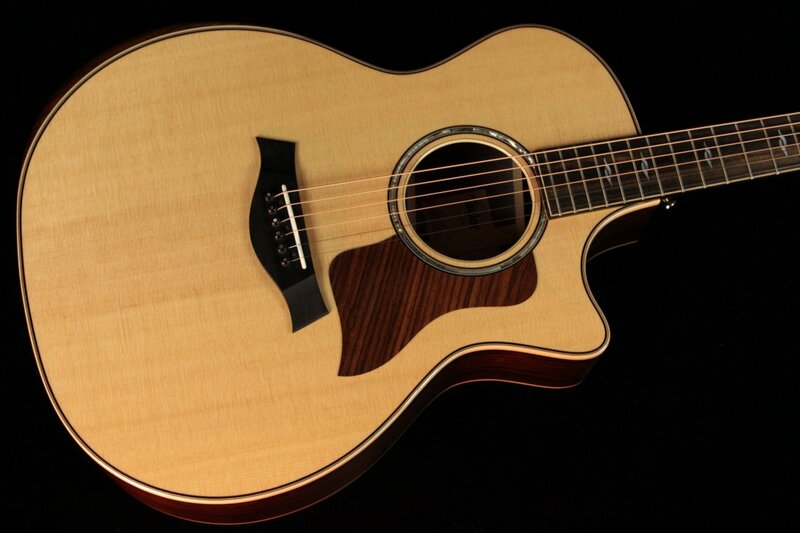 Speaking of which, Taylor only utilizes protein glue for the 800 series, which creates the strongest possible connection between each piece of wood to ensure maximum volume and resonance. 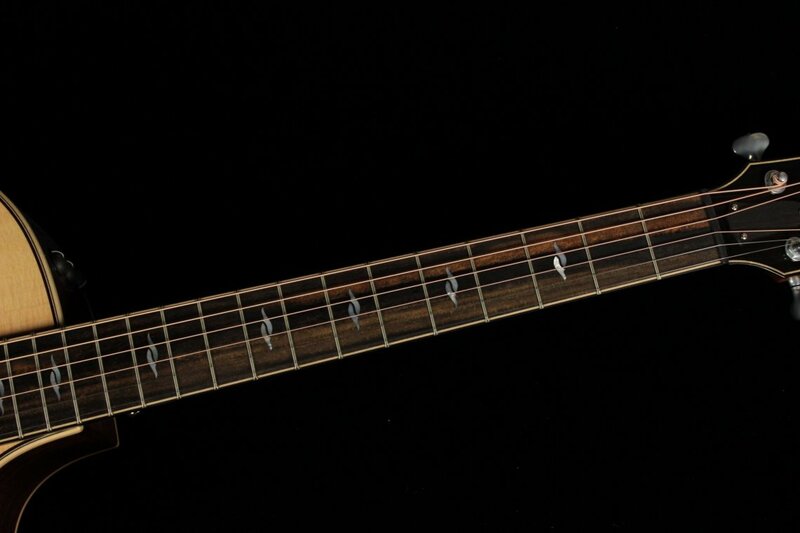 This doesn't even take into account the redesigned ES-2 System--which delivers truly incredible plugged-in tone--or the stunning new aesthetic updates like figured maple binding, an Indian rosewood pickguard, and an abalone rosette. 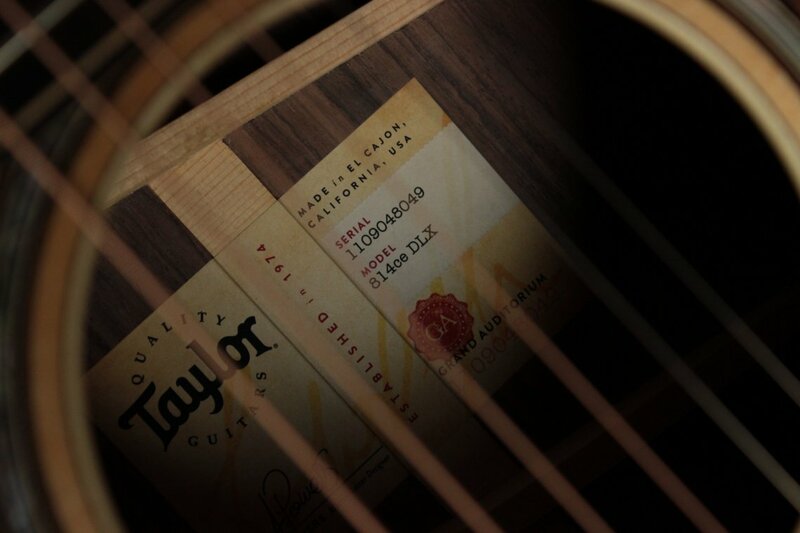 Of course, it's really difficult to develop a deluxe edition of a guitar that's already pretty deluxe to begin with, but the fine folks at Taylor rose to the challenge like they always do! 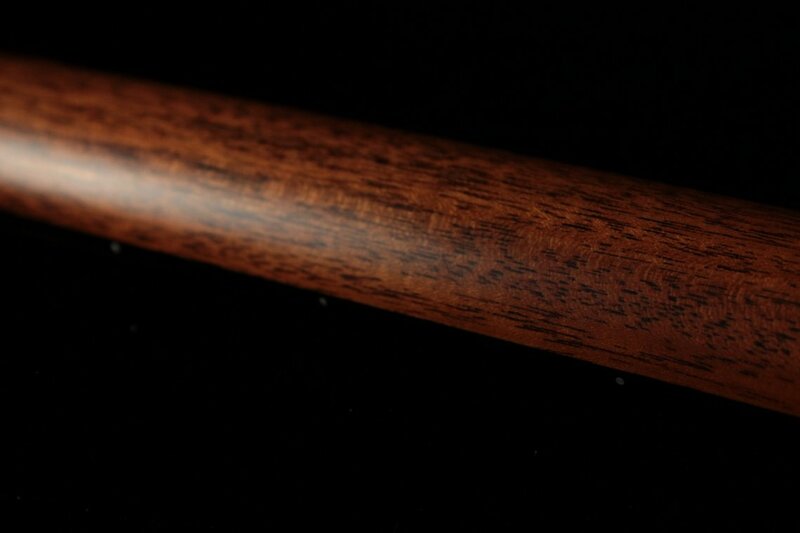 First, they included a rounded rosewood armrest to increase comfort and enhance projection. 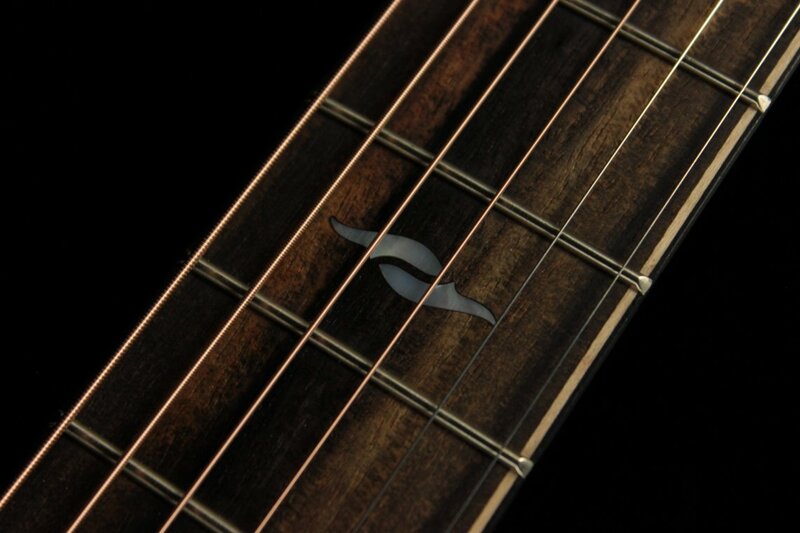 It might not seem like a big deal, but resting your right arm directly on the top can really kill a lot of vibrations, so that bevel really does have a huge effect on your tone! 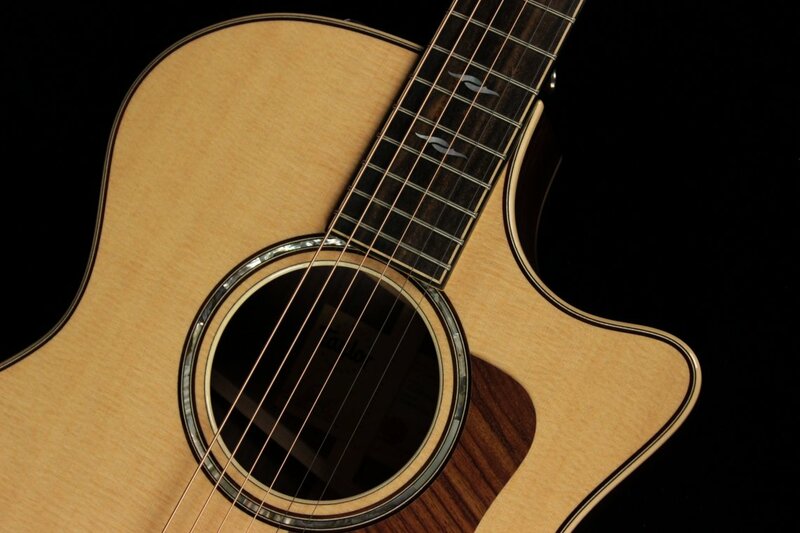 That would have been enough for most people, but the tireless designers at Taylor's El Cajon headquarters found another game-changing tone hack: adirondack spruce bracing. 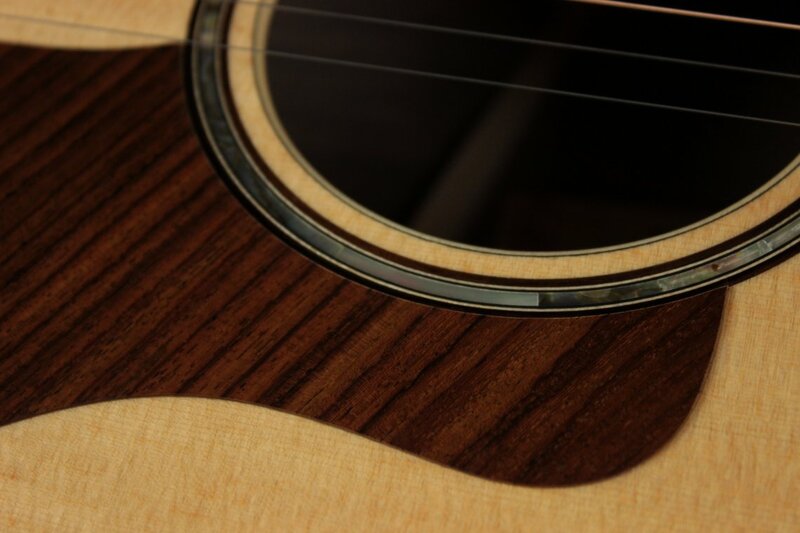 Playing a guitar with Adirondack bracing is an eye-opening experience. 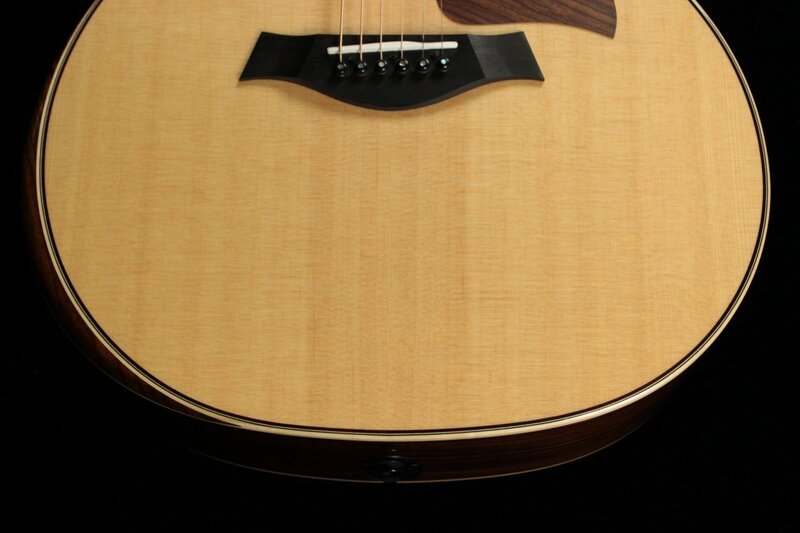 It imparts a one-of-a-kind richness across the entire frequency spectrum, a woody, percussive attack with excellent sustain, immense headroom, and crystalline clarity. 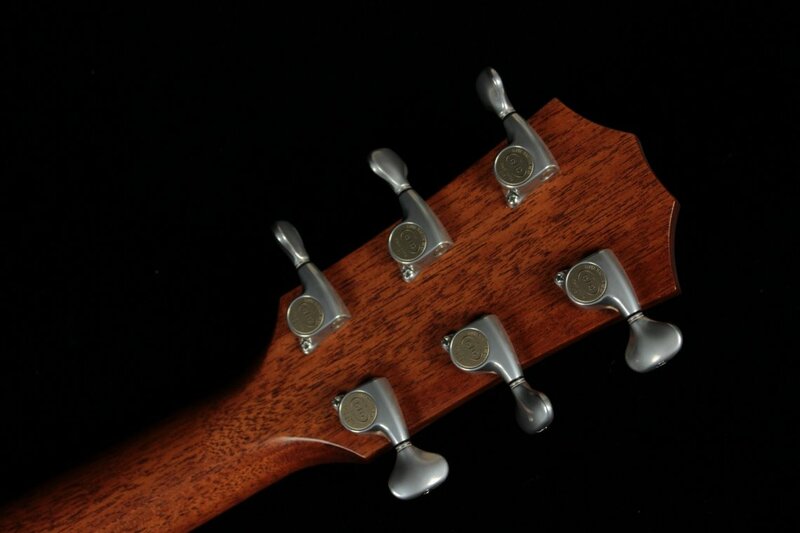 They also upgraded the tuners to gold Gotoh 510s with a 21:1 ratio for righteously smooth tuning and rosewood edge trim for a little extra style.